Bakeries and snack manufacturing plants employ a wide variety of conveyor belt systems to move ingredients, doughs, formed products, finished baked foods and snacks, and packages through processing and packaging. Belt conveyors can run with low and high tension and feature positive or push drives. Decisions about which belt a bakery or snack manufacturer needs often depends upon the application. Because consumers taste for baked bread has changed significantly, getting the right belt for the right application is critical to producing high-quality breads. It now takes a variety of bakery belts to handle the production process for a larger variety of breads. White bread consumption is being replaced by whole wheat, multigrain, and various specialty breads; and consumers want more variety in taste and texture, as well as health benefits. There are key factors in the selection of the proper belt for the application. 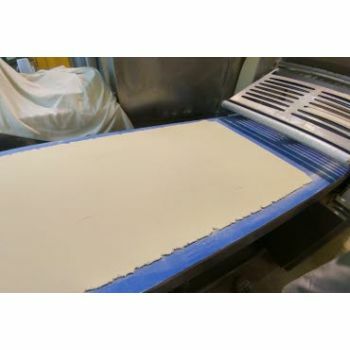 When transferring the product between operations -- whether it's a tight transfer of a finished product, roll forming, or a dough dump -- the belts ability to flex over a knife edge transfer or over a rolling nose bar are important factors to consider when selecting the right bakery belt. Gripping and releasing the product at the proper time impacts the output volume/feed rate and selecting the proper fabric and compound for each operation allows the product to be released correctly. Our application specialists are well trained and can recommend the right belt with the right flexibility that will work best on your conveyor design. When producing specialty breads, the conveyor belt needs to be compatible with both the environment and the ingredients. 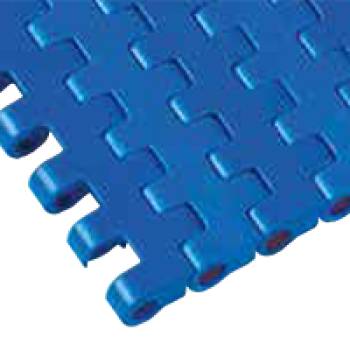 Dough consistency, moisture, heat -- these are factors that all need to be considered when selecting the proper belt. 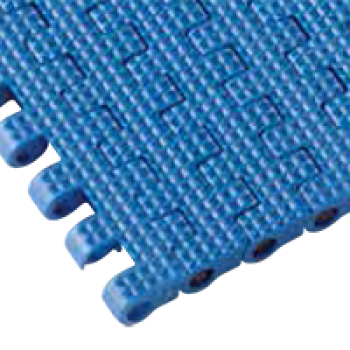 We stock conveyor belts with various fabric construction designed to endure the environment and produce quality breads. With a wide variety of bakery belts to choose from -- whether a specialty bake shop or a large, high-volume bakery -- we specialize in the ability to handle every application. Modular Conveyor belt uni M-QNB C - for foods This particular conveyor belt is suitable for the baking industry at the stage of Dough Handling. Mixing and Handling conveyor belt for bread manufacturing industry and bakery. This is where it all starts! Wet dough applications give the first shape to bakery products. The Uni..
Modular Conveyor belt uni M-QNB NS - for foods This particular conveyor belt is suitable for the baking industry at the stage of Dough Handling. Mixing and Handling conveyor belt for bread manufacturing industry and bakery. This is where it all starts! Wet dough applications give the first shape to bakery products. The Un..
PU conveyor belt SBRO572080 Ropanol EM 8/2 0+00 light blue AS FG - for dough handling Hygiene and Food Safety standards are being raised constantly. This is why we never stops innovating in both the design and the manufacture of its process and conveyor belts. Our new conveyor Belt of this type is specially designed for dough ..